Meaghan Smith was once deathly afraid of the stage. She left her native Ontario for Halifax, where she gathered up her courage and threw herself wholeheartedly into the open mic scene. Little by little, her self-confidence grew, and she released The Cricket’s Orchestra. The album’s 11 original songs are rooted in the sound of vintage pop from the 1920s to 40s. Meaghan’s music has been featured on One Tree Hill, Grey’s Anatomy and (500) Days of Summer. To further confirm her rising star, Meaghan will be part of the 2010 Lilith Fair tour, a celebration of women in song co-founded by Sarah McLachlan. 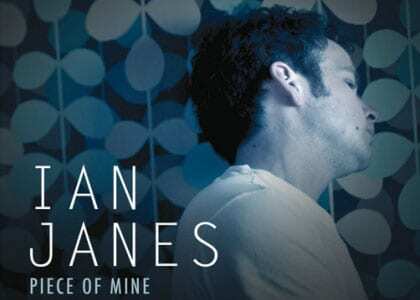 Ian Janes returns to Deep Roots with his impeccably crafted new album, Piece of Mine, showcasing his rich, seasoned voice, distinctive guitar playing and beautiful writing. Maclean’s Magazine named Ian Janes one of the 100 Canadians to Watch. CBC Radio’s Definitely Not The Opera gave Janes his own one-hour special. The East Coast Music Awards (ECMA) featured him on their televised gala (he has received five ECMA nominations to date). And, Thom Fitzgerald used Janes’ music in his award winning film, The Event. Ian has previously released two albums, As it Seems (2002 Music Industry of Nova Scotia’s Record of the Year), as well as his critically acclaimed debut, Occasional Crush. Ian Janes first performed in Wolfville when he was a hot-shot teen guitar player, introducing his early songs. 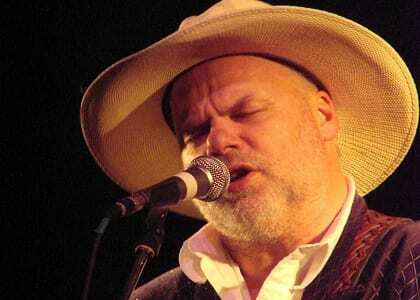 By the time we presented him at the first Deep Roots Music Festival he was an established recording artist. His third recording, Piece of Mine, is a definitive snapshot of who Ian Janes is. The songs have depth and relevance, performed with effortless musicality. We are pleased to welcome Ian home to Deep Roots. 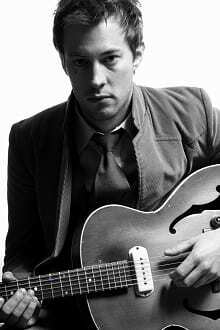 Matthew Barber is an acclaimed singer-songwriter hailing from Toronto. A fixture on the Canadian music scene over the last five years, Barber has released three records and an e.p. and toured extensively across Canada and abroad, making inroads into Europe, Australia and now the United States. His sound is largely influenced by the tradition of folk-rock and country singer-songwriters like Bob Dylan, Neil Young, Tom Petty, Hank Williams, Leonard Cohen and Bruce Springsteen, but also by years of immersion in contemporary indie-rock as a college radio d.j. The one constant in Barber’s songwriting is his knack for a memorable hook (perhaps owing to his enduring love of the Beatles), and in this way he has carved out a unique sound that often defies categorization. Compañía Azul has a heart split between the coasts of Atlantic Canada and the dry earth of Andalusia. Founded by dancer Megan “Azulita” Matheson, guitarist Bob Sutherby, singer Sean Harris and percussionist Tony Tucker, the company strives to bring their own voice to flamenco, melding diverse backgrounds of various musical styles, while maintaining grounded in the flamenco traditions. All four principal members began their careers with the highly regarded El Viento Flamenco, founded by Evelyne Benais and Bob Sutherby in St. John’s Newfoundland. Dancing since the age of four, Tziporah(meaning “little bird” in Hebrew) entered into the world of flamenco after being drawn in by flamenco’s compelling rhythms and brazen attitude. She began her studies with Afifa Lahbadi and Bonnie Stewart of Centro Flamenco in Vancouver. Continuing on to study in Halifax at El Viento School of Dance under the instruction of Azulita and Evelyne Benais, Tziporah has developed an undeniable passion for flamenco dance. Sean began singing from a very early age and became a versatile performer, tackling classical, blues, rock, gospel and eventually flamenco. His training in Canada and Spain with teachers Juan del Gastor and Patricio Tito helped him develop a flamenco voice that has been described as “rich, soaring and heart-rending”. Azulita, nicknamed for her blue eyes, began her studies with Evelyne Benais, going on to concentrate her studies with Juana Amaya, Rafael de Carmen and Ángela Gabaldón. She is inspired by the visceral nature of flamenco and its ability to provide a platform for the most complicated set of emotions and is in love with creating rhythms and choreography to do so. On stage she has been described as “stunning”. Throughout his years in El Viento Flamenco and Los Flamencos, Bob has established himself as a respected flamenco guitarist. Bob is known for his emotional playing, his clear, crisp sound and his ability to accompany a dancer with precision. He has studied in Canada and Spain with Patricio Tito, Juan del Gastor, Miguel Aragón, Juan Martín, Flavio Rodrigues and Arcadio Marín. Tony’s extensive experience with African and Cuban drumming, Newfoundland Celtic and even Hard Rock kit drumming have given him the subtlety and dynamism necessary to a flamenco band. 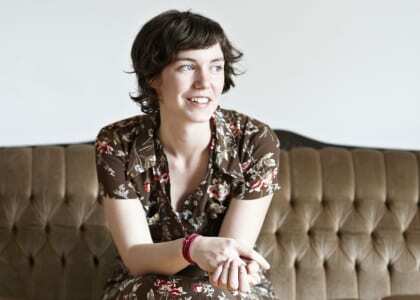 Catherine MacLellan’s pure, ethereal vocals and poetic lyrics have contributed to her becoming one of the most celebrated new singer-songwriters in Canada, and around the world. Her last album, Church Bell Blues, hit #1 on the iTunes Canada Roots charts, and elicited comparisons to Joni Mitchell. Her highly anticipated third album, Water in the Ground, is a brilliant collection of new songs that affirms her reputation as a prolific and gifted songwriter. It also features some of the most prominent roots musicians in Canada, including Treasa Levasseur, Justin Rutledge and David Baxter. Catherine has toured with Bruce Cockburn in the USA, with Steve Forbert in the UK, and has showcased in Paris, Cannes, Berlin, New York, London, and Memphis. We are very happy to be able to have her come to Deep Roots this year. 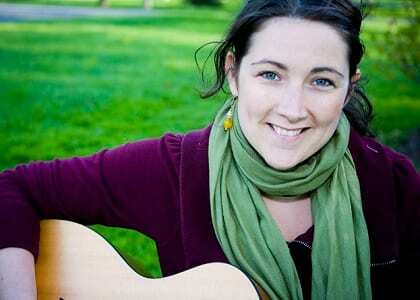 This year Deep Roots may be your introduction to 26-year-old Ashley Condon who has been winning audiences over with her larger-than-life stage presence and down-to-earth charm. Powerful vocals and thoughtful lyrics give voice to the beautiful simplicity of the every day. 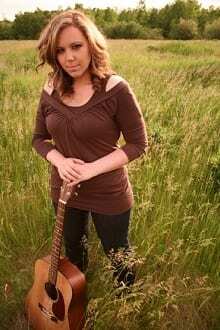 Raised here on the East Coast, with its progeny of Celtic and Acadian root music, and with particular old-time country, bluegrass, folk, blues and classic rock influences, Ashley finds a place for all those sounds in her music. The success of her 2008 debut EP “I’ve Got This Feeling” grabbed the attention of Ontario native, ECMA-nominated producer Joel Hunt (Teresa Ennis), and a highly anticipated spring 10′ release will be the result of their joined creative forces. Ashley has shared the stage with folk icons Tannis Slimmon, James Gordon, Jude Vadala (The Bird Sisters), Katherine Wheatley and Juno nominee Douglas John Cameron. She has opened for Canadian Folk Music Award Nominees, The Fugitives, and was invited to play at the 2007 Hillside Festival as a member of the Sam Turton Band. Michael Pickett’s mother bought him a harmonica when he was about 13. Influenced by folk-blues greats such as, Brownie McGhee and Sonny Terry, Michael began his music career in the early 70’s as a member of Toronto-based band, Whiskey Howl. Later, he co-founded (and was lead singer and harmonica player) for the blues band Wooden Teeth, and then began developing a career in his own name with the Michael Pickett Band. He now performs exclusively as a solo acoustic artist touring throughout Canada, the US, the UK and Europe. Michael’s first two solo CD’s (“Blues Money” and “Conversation with the Blues” earned him two Juno nominations. Carmel Mikol is a Cape Breton born singer songwriter whose finely crafted songs are a warm blend of country and folk-rock traditions. The Halifax Chronicle Herald says her songs are “full of life and personality, while her voice is clear, expressive and direct without overselling the emotion in her soul-bearing songs” (Stephen Cooke). She recently performed an ECMA Showcase, and her latest album, “In My Bones”, won the Great American Song Contest in the Contemporary Acoustic/Folk category. The album is a collection of ten original songs that features comforting acoustics, catchy electric guitar and captivating lap steel. This year’s Deep Roots audiences are certain to be charmed by Carmel Mikol. 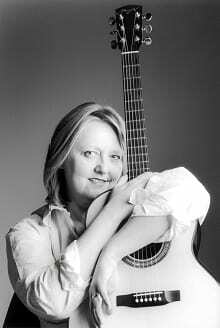 Connie Kaldor is a Juno award winning artist who has sung for royalty (Joni Mitchell and Queen Elizabeth) and is a member of the Order of Canada. Her touring has taken her across North America and around the world. She has fourteen albums to her credit; three award winning children’s books/cd’s, a musical and much more. Her original songs and riveting performances evoke the powerful and unique presence of the Canadian prairies. Witty and serious, down-home and metropolitan, her versatility and talent ensure that she is an artist whose fan base expands with every show. Award-winning and acclaimed performer, Fred Eaglesmith’s tales and observations are as keen and compelling as his songs, and frequently as hilarious as the best stand-up comedians. Fred’s 18th album is soon to be released; his previous albums over the last three decades have consistently evoked critical raves. 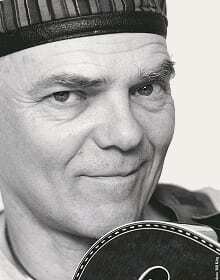 His fellow songwriters regularly record his songs and sing his praises. He hosts a number of music festivals across North America, where he plays hundreds of dates a year in addition to touring Europe and Australia. His youthful travels hopping freight trains inspired the Roots on the Rails rolling music festivals, for which he currently hosts two annual rail trips that ride everywhere from scenic and historic narrow gauge lines in the American West to, this last year, into the Canadian arctic.